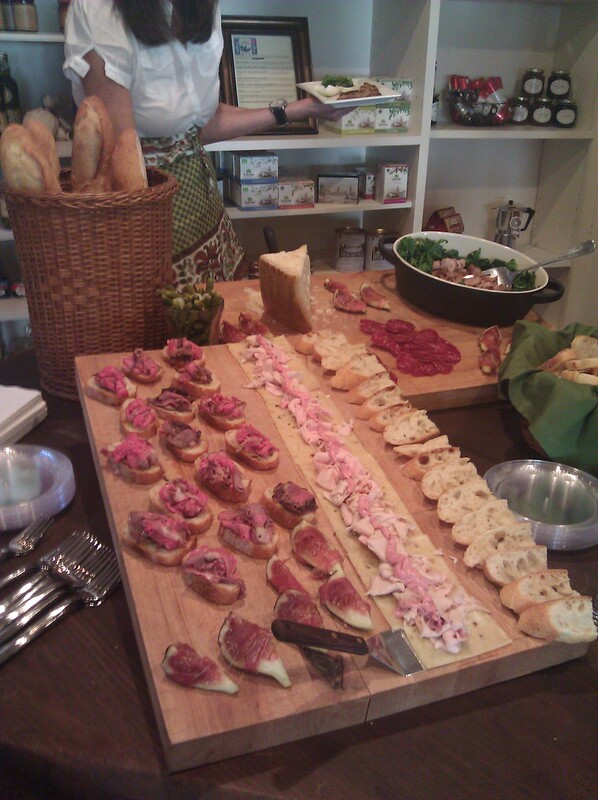 This food tour took place on Wednesday, June 1, 2011. 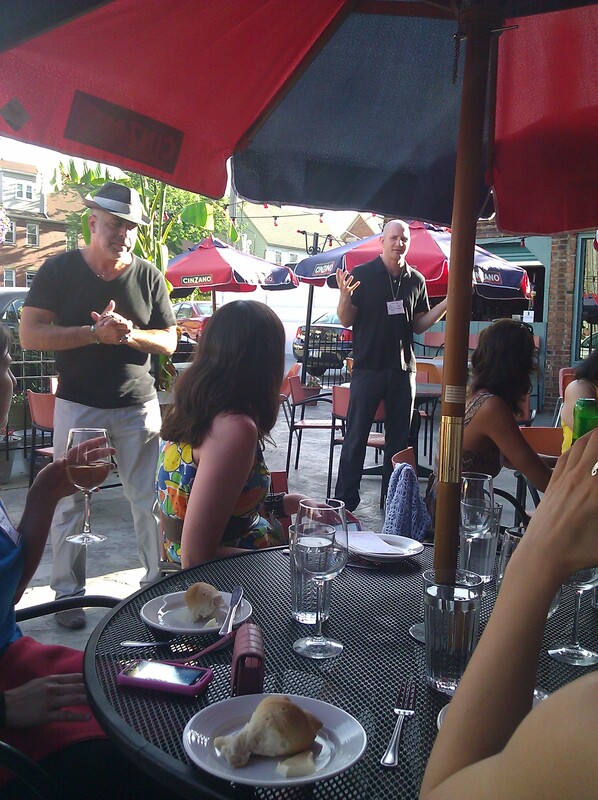 Our host for the evening (in addition to the NEO Food Tour crew) was the owner of La Dolce Vita, Terry Tarantino. Who better to show off the area of Little Italy than one of its most beloved resident? The weather couldn’t have been more perfect for strolling down Murray Hill. We met on the patio in the back of La Dolce Vita. We were greeted with a glass of chilled white wine and were served a fresh caprese salad and delicious epi and butter. I love the epi (triangular sections of bread in a baguette form) that they serve at La Dolce Vita. It is crispy outside and soft and luscious inside. 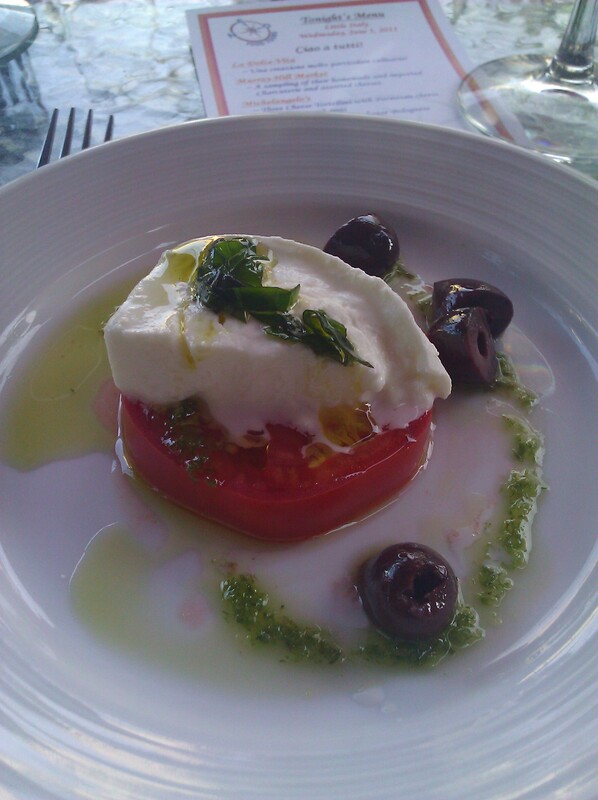 The caprese salad came with kalamata olives, which was a really nice touch. Terry told us a little bit about the history of Little Italy and La Dolce Vita. We then walked down Murray Hill Road, admiring and learning about some of the architecture along the way, to our next stop, the Murray Hill Market. The owner and operator of the Market, Michele Iacobelli Buckholtz, put out an unbelievable spread of assorted charcuterie and had sparkling water chilling on ice and fresh brewed iced tea waiting for us. We were all encouraged to take seconds and thirds, which is typical Italian hospitality. It was hot that day, so I particularly enjoyed the numerous refills of iced tea and sparkling water. We were all completely blown away by the Market and the hospitality they showed us. The Market bills itself as a “contemporary, old-fashioned neighborhood corner store” and is proud to serve the neighborhood and the college students living in the area. They sell groceries, imported specialties, and freshly prepared delicacies. In addition to some daily specials (check their Facebook page), they serve sandwiches, salads and soups, chili, bisques and chowders. This is one family-run business I enjoy supporting. After saying arrivederci to the Market, we continued walking down Murray Hill Road to my favorite restaurant in Little Italy, Michaelangelo’s. We were seated at a long table set for us, given a glass of wine, and served two small portions of their pasta – Three Cheese Tortellini with Parmesan cheese, prosciutto and peas and Gnocchi served with the house Bolognese. Both were the perfect portion after the feast at the Market. I was so excited to see the tortellini portion, because that is one of my favorite pastas that I used to eat at the local Italian restaurant when I lived in Germany. The proscuitto and peas cut the creaminess of the sauce and just creates a delicious pasta dish. I have been getting this regularly both in-house and as take-out. It never disappoints. The gnocchi and Bolognese was also a delicious treat. I love a good Bolognese, and this did not disappoint. The gnocchi were also perfectly cooked and not at all dense. We headed back down Murray Hill for the final stop on the tour, Trattoria on the Hill. They seated us on the back patio and served us two crostinis (eggplant melonzini and white bean tuna) and a lemon sorbet with a raspberry sauce and a dash of sparkling wine. The crostini had a nice crunch, and I would be hard pressed to name my favorite one. Of course my absolute favorite was the lemon sorbet. It was refreshing and delicious. I wish they served this on their regular dessert menu. I would order it all the time! 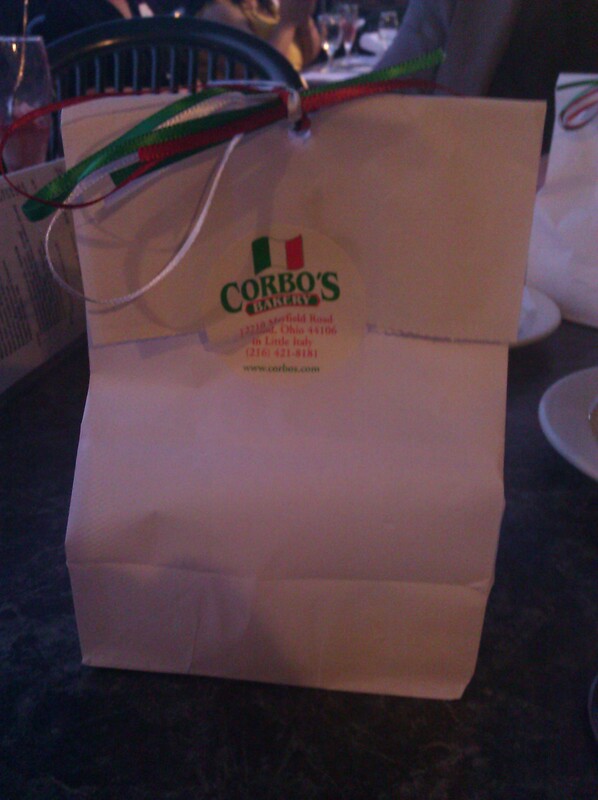 Our takeaway from the tour was a bag with several small cannoli from Corbo’s. Because no visit to Little Italy is complete without something sweet from Corbo’s.